Smart home, smart manufacturing, smart factory… it seems that smart technology is everywhere. 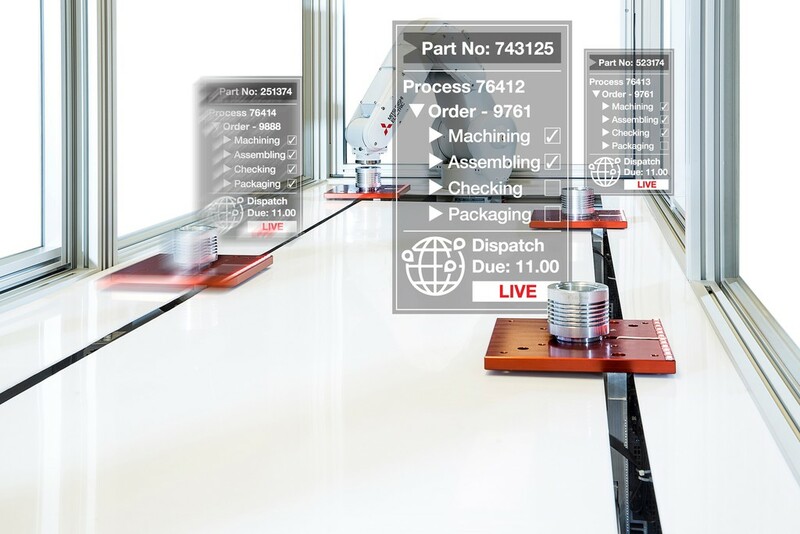 Little surprise then, in this era of Industry 4.0, IIot and connectivity, that smart packaging is now finding application and bringing benefits in the pharma and food and drink sectors, in particular. Intelligent packaging: A packaging system that transmits or gathers data or information about the product. As well as providing fun features to encourage brand interaction, often used in conjunction with a consumer’s smart phone, when it comes to packaging featuring embedded smart components, as Watson asserts, highly functional, economic, quality control and sustainability benefits can also be realised. In the pharmaceutical sector it is particularly important that drug and medicine packages, and their contents, are properly maintained. Due to the temperature-sensitivity and chemical volatility of these goods, packaging that can detect temperature changes during transit or indicate any chemical changes due to extreme temperature conditions can go a long way toward optimising product safety. Smart packaging is also bringing benefits once the medicine has reached the end of the supply chain and is in the hands of the patient; the latest developments mean patient leaflets in a medicine package do not always have to be in printed form thanks to the incorporation of near-field communication (NFC), a technology which is already which is familiar to many of us in facilitating cashless payment and keyless vehicle entry. Thanks to widespread smartphone use, contactless and wireless short-distance data exchange has also become of interest to the packaging sector. Possible applications range from reading-out the patient leaflet and the automatic re-ordering of drugs through to more detailed information. In the future, it is possible that smart packages will be an integrated part of an overall e-health strategy; smart packages will know the patient’s personal dosage, make the right medicine available at the right time with the aid of time-controlled access and sound an alarm when drug intake is skipped. 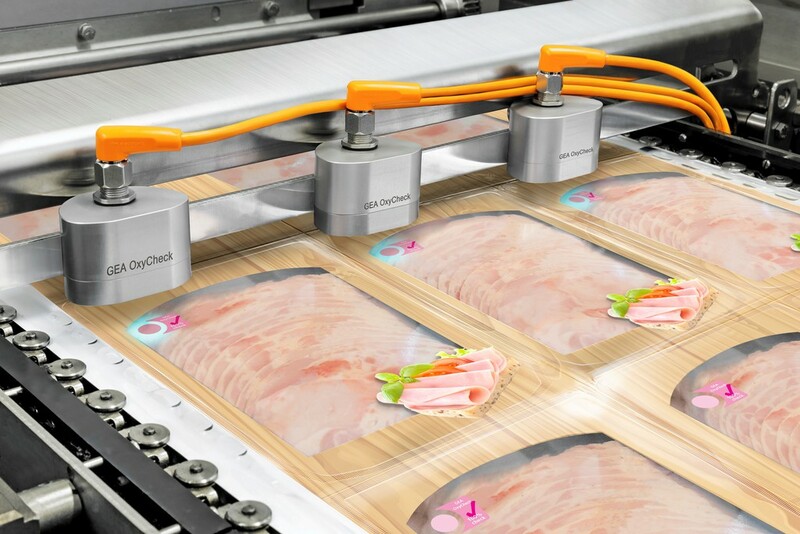 Smart or active packaging that works in close alignment with sensor technology, and packaging materials that are embedded with various smart technologies can be of particular benefit in the food and drink sector. For example, smart sensors aid significantly in the control and monitoring of various aspects, such as moisture, temperature and oxygen. Sensors don’t always to be electronic in nature; in the case of food packaging, it could also be in the form of an indicator. According to Mufassira Fathima from Allied Analytics LLP, not only do these allow a substantial degree of control over how foods and beverages are maintained, but sensors embedded in these packaging methods enable easy tracking of the product throughout the supply chain. This enforces an efficient, controlled and well-monitored food supply chain, wherein the exact degree of damage or well-being of a food product can be monitored. There is ongoing research to develop a sensor that detects the expiry and deterioration of food products, and alerts the suppliers before it can cause severe implications. At the recent interpack 2017 event, GEA showcased what is reported to be the first non-invasive oxygen measurement system for MAP (Modified Atmosphere Packaging). With the OxyCheck in-line measurement system each MAP pack is non-invasively inspected after sealing on a GEA thermoformer, instead of being damaged by a needle as was general practice up until this point. This makes costly spot checks obsolete, films and seals remain intact and there is no loss of product or materials. Today, more than half of all retail fresh food – meat, fish, poultry, fruits and vegetables, confectionery and baked goods as well as dairy products – is packaged in a modified atmosphere. During this process, a gas mixture of carbon dioxide and nitrogen is injected into a package prior to sealing. This slows down decay, thus extending the shelf life of the packaged product. A small percentage of oxygen remains in the package by virtue of the process, but this may not exceed a threshold to avoid early spoilage of the goods. 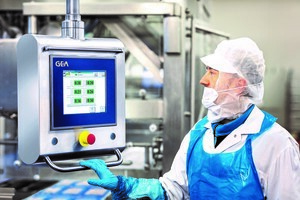 OxyCheck monitors the residual oxygen content directly during production on the GEA PowerPak thermoformer. Conventional spot checks involve the removal of packs from the line and inspection through an invasive probe. When a pack does not meet specifications, the line is halted and all packs preceding it up to the last pass are destroyed. In contrast, the OxyCheck process is completely non-invasive and neither the product nor the packaging materials go to waste. The technology uses a sensor spot made of a polystyrene-based fluorescent dye that is printed on the inside of the film. Similar to an indicator strip, the wavelength of the dye changes depending upon the oxygen content inside the package. Sensors on the PowerPak thermoformer activate this sensor spot and then take a reading. GEA has developed a special method for calculating the oxygen concentration based on the light emitted and the temperature. The new measurement system has no effect on either the line speed or the throughput of the PowerPak. The sensors work with the pulsed light of an LED, which is safe for both products and operators. The process has no effect on either the composition of the modified atmosphere or the package content. 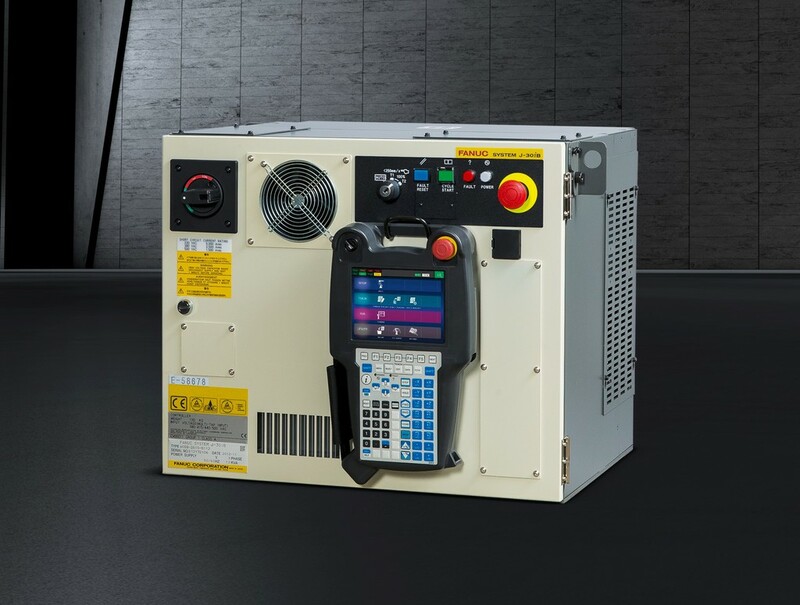 Another interpack launch is Fanuc’s J-30iB robot controller, which is designed to facilitate the integration of automation and robotics processes. The J-30iB is able to coordinate multiple machine axes operating simultaneously, helping to facilitate complex project engineering and servo axis positioning integration tasks. 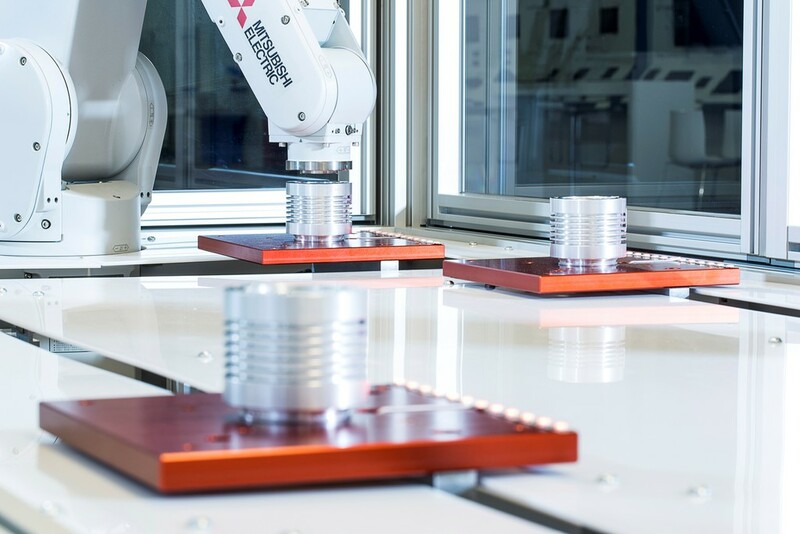 The controller’s flexibility means it can be applied to any automation or robot integration requirements, while providing a consistently high level of precision and control. It is also compatible with existing software functions of FANUC robots, including industrial field bus systems. Optima Nonwovens, a member of the OPTIMA Packaging Group, develops leading-edge technologies for packaging paper hygiene products. 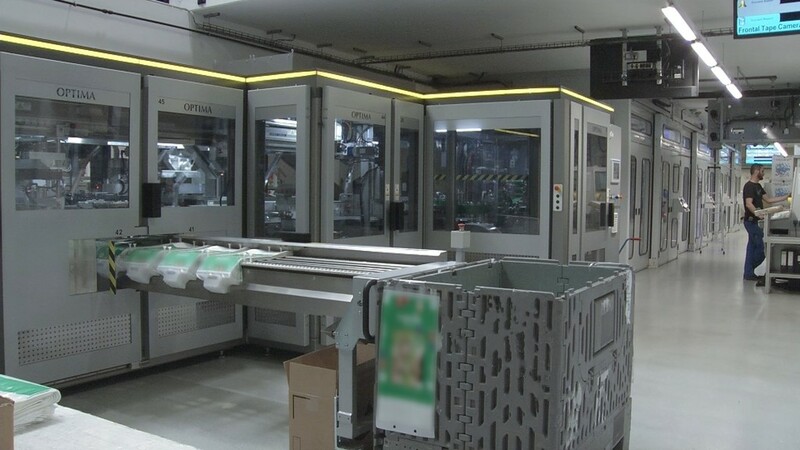 A recent project for a nappy bagger/stacker features the iTRAK Intelligent Track System from Rockwell Automation, which as well as enabling greater flexibility for rapid product-format changeovers, has also helped to increase the overall equipment effectiveness (OEE) of the machine. The previous-generation machine used a long belt, with fixed-pitch paddles for transportation and grouping of the product to be packaged. This configuration meant that any product changeovers – especially those relating to the size of the product – required significant re-engineering to adjust the belts to match the new product sizes. In isolation, these changeovers were not too long, but when four or five were required on a shift, the cumulative downtime soon added up. The iTRAK solution comprises multiple movers running on straight and curved paths, all of which can be independently controlled; instantly removing the limitations of fixed-pitch belt systems. Its highly innovative capabilities combine both linear and rotary motion, resulting in a flexible, fully integrated solution that can increase production throughput, reduce maintenance and overall machine size and, in this instance, slash machine changeover times. The iTRAK system is part of a Rockwell Automation Integrated Architecture solution, which is used to both actuate and control the majority of the machine’s primary functions. At the heart of the automation infrastructure is an Allen-Bradley ControlLogix programmable automation controller (PAC) working in conjunction with an Allen-Bradley PanelView Plus 7 operator interface. In addition to the iTRAK servo solution, the machine deploys a number of more-traditional servo motors and Allen-Bradley Kinetix 6000 multi-axis servo drives. 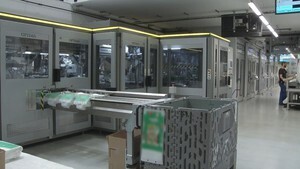 These servo solutions are used for a number of steps and functions, including pushing the diapers/nappies into the packs, driving the belts to move the products between stations, the turntables, the two product compression steps, product positioning, bag welding, bag extraction and final movement to the take-out conveyor. 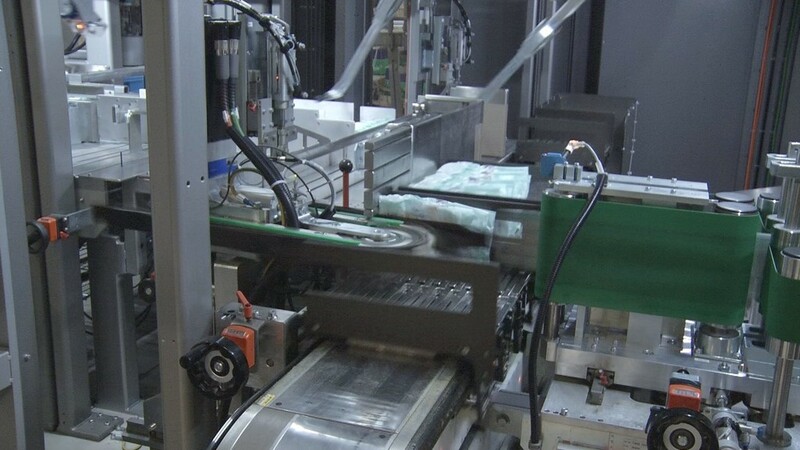 Mitsubishi electric used interpack to showcase the latest advances in its Smart Carriage technology which have been developed in cooperation with e‑F@ctory Alliance partner, APT Automation. The newly modified prototype features high-speed performance, on-board intelligence, real-time synchronisation with other processes, assured safety and the ability to switch between vertical as well as horizontal tracks. The Smart Carriage addresses industry challenges such as greater production line flexibility, improved productivity and increased overall equipment effectiveness. It offers significant benefits in a range of industry sectors, but perhaps most significantly in both secondary and end-of-line packaging applications within the Food and Beverage as well as Life Science industries. Possible applications include magic belt product grouping, side loaders, wrap-around cartoners, shrink wrappers, as well as transport packing applications in conjunction with carton assemblers, robot top loaders, carton closers and palletising robots. By offering on-board intelligence and data memory, as well as integrated power for on-carriage devices such as sensors, the Smart Carriage can store product information and production data. It can then communicate information from one station to the next which also allows the carriage to detect different products and then decide on optimum routes and destinations. This is supported by a high maximum speed of 4m/sec, plus, acceleration / deceleration of 3g and a positioning accuracy of ±0.01mm. With this solution, packaging conveyors are entering a new era of speed and accuracy. 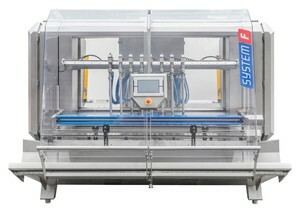 Together, these features considerably increase the efficiency and flexibility of the packaging process. When Adelphi Packaging Machinery developed its System F-1800 it turned to HepcoMotion to fulfil the linear motion requirements. With movement over three axis, the System F-1800 Nozzle Carrier uses Hepco products on all three. 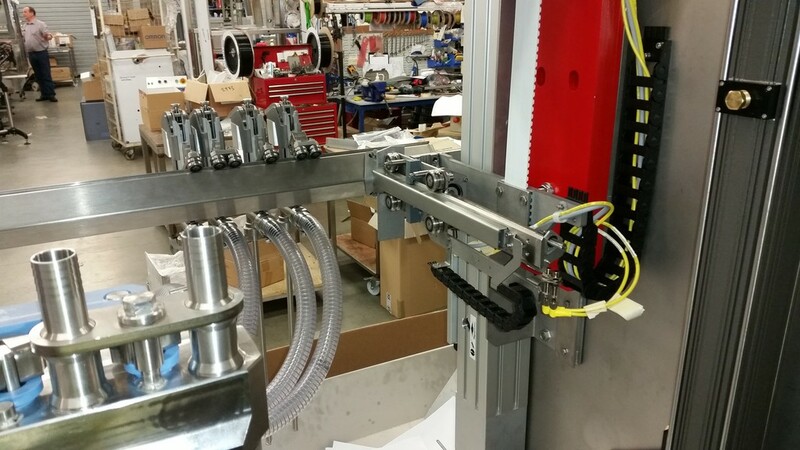 The vertical movement enabling nozzles to dive into bottles of varying depth, is provided using Hepco’s SBD belt driven actuators with connecting shaft, couplings and motor connection kit. This incorporates a vertical counterbalance design supported by two Hepco SL2 stainless steel slides. Hepco’s SBD actuators provide a higher level of performance in terms of load capacity and life than other comparable sized linear actuators, making it an excellent choice for Adelphi’s System F. Mike McGuire, HepcoMotion Sales Engineer explains; “SBD fits this application perfectly thanks to its high capacity re-circulating ball guides providing improved moment load capacity and longer life in high duty linear applications”. The duty is quite high for this application as the main nozzle bar is raised and lowered frequently and quickly. The weight of the nozzle apparatus, piping, and product being dispensed also need to be taken into consideration. The products therefore need to be able to cope with this high duty and be low maintenance - features that Hepco’s SL2 and SBD excel in. 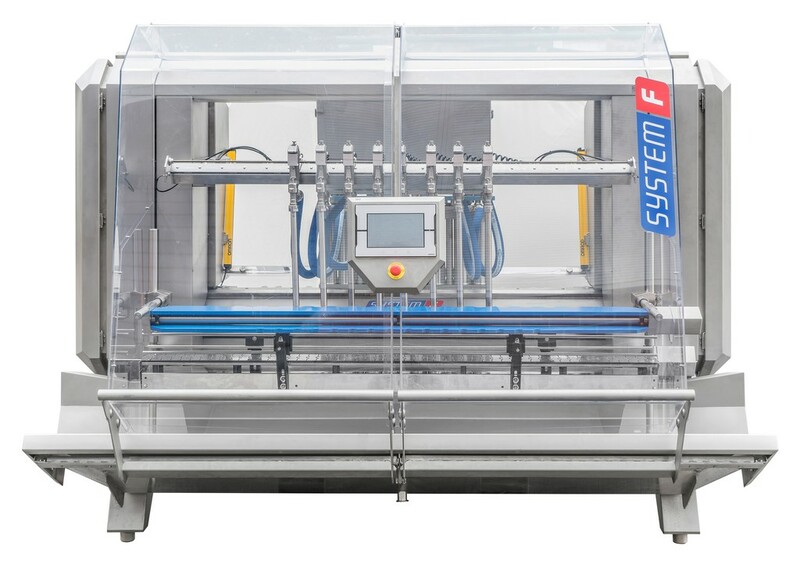 Catering for a number of different industries, including food production, medical, and cosmetics packaging to name but a few, the environmental conditions of the System F are quite diverse depending on the type of liquid that is being filled. This was another reason why the engineers decided on Hepco: Hepco can operate in hostile conditions. Furthermore both the SL2 and SBD offer surfaces that can be easily washed and wiped down during cleaning routines. The need to wipe and wash down machines, together with high production rates is a combination that only the toughest systems can provide. Corrosion-resistance is another key requirement for any liquid filling application – particularly for customers in the food industry. On the nozzle adjusters, where mechanical components are close to the filling process, corrosion resistance is essential for liquids such as oral dose pharmaceuticals and food items. Here, Hepco’s SL2 stainless steel bearing wheels are sealed for life units, negating the need for lubrication so the system can run dry, thus eliminating the opportunity for product contamination.